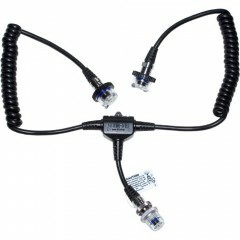 Dual sync cords are light and compact connector cables for TTL photography. Compatible with Nikonos V, RS, and SLR/dSLR housings (Nikonos V bulkhead connectors). * These cords can't be used with YS-20 and YS-60.